Online shopping has finally arrived in India. Thanks to ventures like Jabong which are taking creative measures to ensure they are not to be missed by shoppers. A unique Innovative Online Fashion show, which is a launchpad for aspiring Designers, Models, Makeup Artists, Hair Stylists, Fashion Photographers is taking place. The Winning Designers, Models, Makeup Artists, Hair Stylists & Fashion Photographers will be groomed by Celebrity mentors, one of them none other than the beautiful Yami Gautam. Wow! 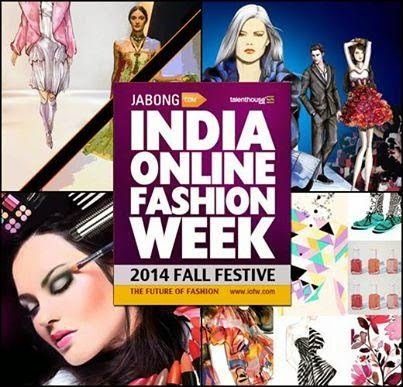 And best part is that the collection displayed at #IOFW (25th to 30th July 2014) will be sold on Jabong.com giving artists across categories a once in a life time opportunity. Ever since, I came to know about this amazing extravaganza I am hooked to it. And let me remind you, I am not a fashion freak. That means it is a hit. For if this can attract the attention of a non-fashion crazy person like me than it has surely made a point. I guess this is natural evolution of sorts in digital age. After all, what could be a worthy successor to online apparel shopping than an event which showcases everything about fashion! I am intrigued by the idea, and very keen to see how it unfolds over next couple of days. The whole process of getting involved in the event - and not just as a spectator & admirer, but from behind the scenes is certainly exciting. Concept of "shop the look" is probably the nirvana of apparel shopping which Jabong is trying through this event. Bringing the whole eco-system of the world of fashion together is no mean feat and this just seems to be achieved by this event. The platform will provide shortest time to market (ZERO) for brands as they can showcase, and sell via integrated end to end experience. I can't wait to see the results of selected participants in all the categories and their work in the upcoming fashion show. And why not, it is a first of its kind event in the whole world. For interesting updates to the event, be sure to visit this space. Wow, this is really happening! Do you plan to buy anything for yourself? Yes.. I can't miss such opportunity..